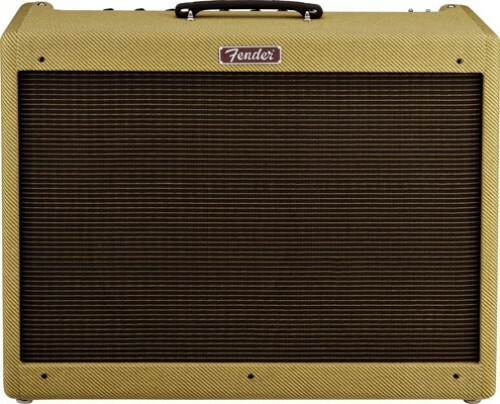 The Fender Blues Deluxe upgrade kit fitted with a Harma STR GT 6L6GC GE and the Harma Bright Sapphire speaker is designed to give you that bright sparkling vintage Fender sound clean sound with a crunchy open top end sound with a tight British style low end. It is designed for the guitarist who demands top quality clean sound with the ability to provide a warm harmonic crunch. The Harma G12 Bright Sapphire combines the crunchy open top end clarity of an Original 1960’s Jensen with a tighter British Style low end. The midrange has been designed to provide a warm smooth clean sound more even breakup when compared to the main competition. It is in the upper mids and top end response that set this speaker apart from all the others as top end is fantastically open with plenty of detail and aggression on solo’s. The result is speaker that will make your Fender amplifier have enough clarity for you chords to sparkle and the right amount of fat crunchy sustain to make you lead sound sing with vintage harmonic warmth.